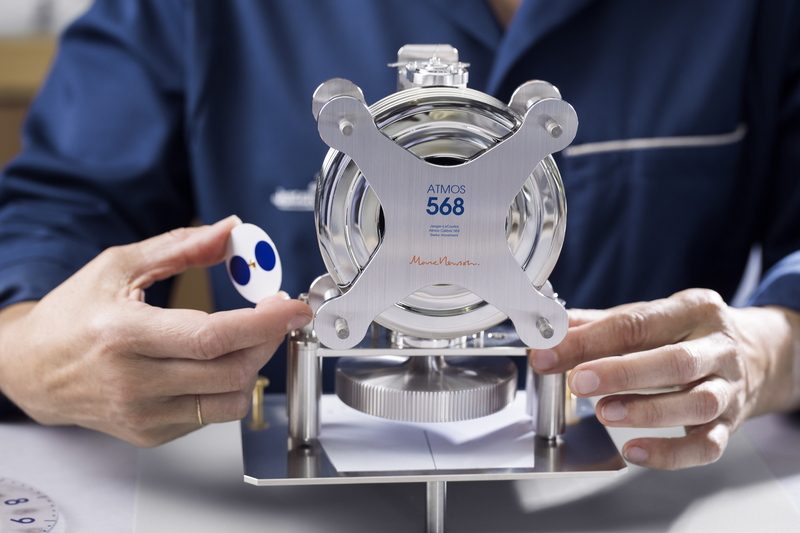 Now you’ve set your eyes on the Jaeger-LeCoultre Atmos 568 by Marc Newson for the first time, the chances are you’ve already decided you want one in your life. It’s hard not to get lost in the simple elegance of the Atmos 568. 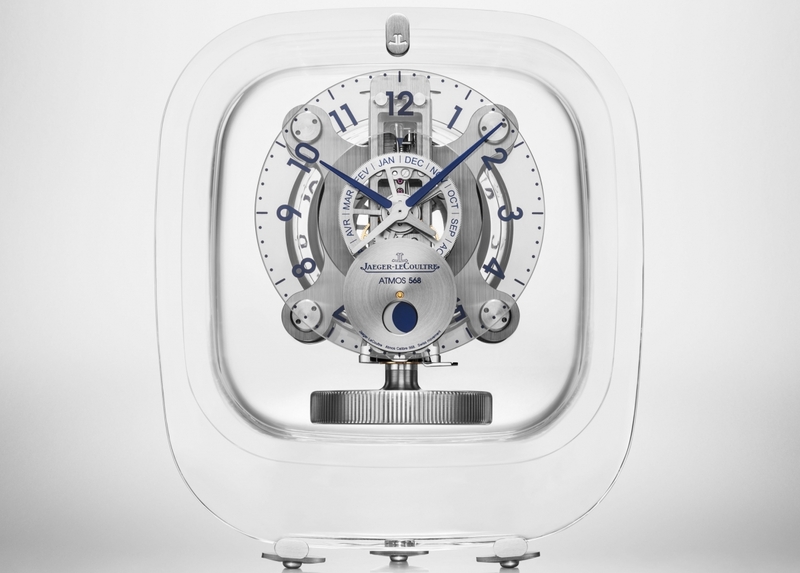 Newson, an Australian designer most famous for the Lockhead Lounge chair, has gone to create lengths to create a beguiling desk clock, seemingly suspending the unique movement in a Baccarat crystal casing that is, in some places, just 13mm thick. As well as the almost high-definition clarity and slight magnifying effect provided by the crystal surrounding, the complication’s floating appearance is aided by a transparent dial face layered with simple blue Arabic numerals and minute markers. Of course, while much of the Jaeger-LeCoultre Atmos 568’s appeal (and price tag) comes thanks to the design nous of Newson – the 568 is nearly five times the price of a standard Atmos clock – the cubed casing, with its smoothly rounded edges, provides an unadulterated view of the idiosyncratic mechanism. While most self-winding mechanical timepieces use the movement of the wearer to provide their power, Jaeger’s Atmos instead uses an ingenious hermetically sealed capsule that expands or contracts with every minute change in ambient temperature. 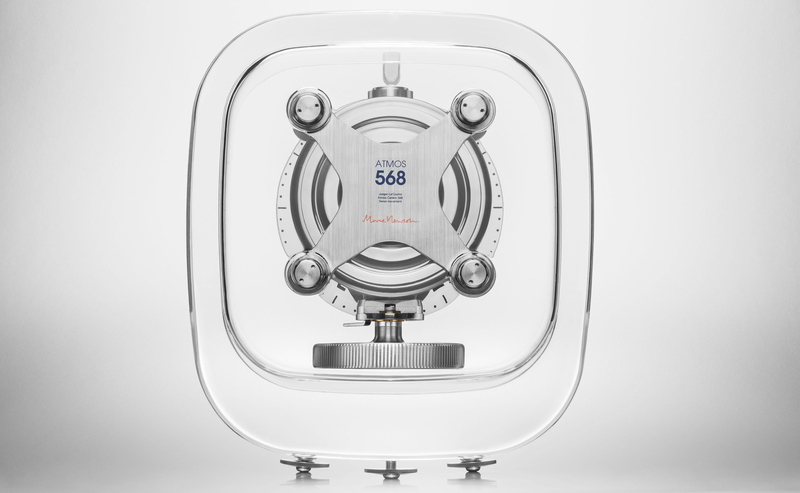 Connected to the drive spring, the change in size of the capsule winds the clock movement, ensuring that the Atmos 568 appears to work like a fabled perpetual motion machine. 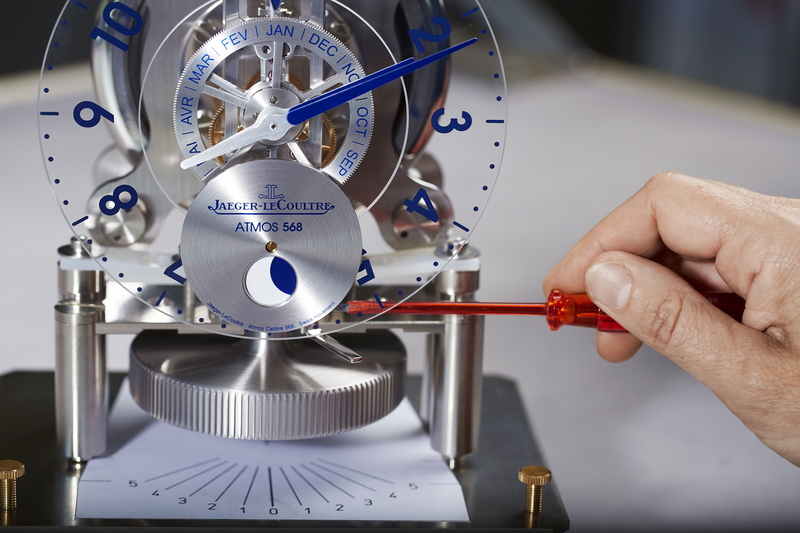 A single-degree fluctuation in temperature provides enough juice to power the Jaeger-LeCoultre Atmos for 48 hours! In terms of energy efficiency goes it makes a Toyota Prius look like a gas-guzzling V8 SUV. It’s all the work of incredible science and horological engineering but, thanks to Newson’s redesign, the movement is a true piece of art. The four-point carrier – formed in an ‘X’ shape – provides greater symmetry than a standard Atmos while also drawing your eyes toward the unique bellows. There is one element we have so far neglected to mention in too much detail: the price. While it certainly verges on the ‘uber luxury’ end of the affordability scale, what you get in return is a show-stopping centrepiece that wouldn’t find itself out of place on display in the finest modern art galleries.